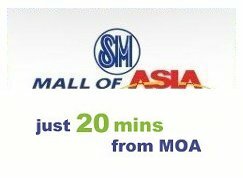 Lancaster New City is just 20 mins from SM Mall of Asia! Property Company of Friends, Inc. It was established by a group of dynamic individuals who espoused a common vision of creating communities and transforming lives by providing affordable, good quality homes. Pro-Friends has grown from being a provider of homes in small pocket developments, to medium rise condominiums and townhouses for the middle income earners, as well as single detached units in estate developments for the higher end market. To date, the company has provided more than 20,000 quality and affordable housing units to its satisfied clientele mostly in the Cavite area, Philippines, where it has found its market niche. Moreover, the company prides itself in having developed a housing technology that has vastly improved not only the quality of its products, but also the efficiency of its operations and, consequently its financial position. Property Company of Friends is a God-centered enterprise acclaimed globally as an industry prime mover in property development, composed of highly competent people, instrumental in socio-economic transformation of society through the creation of better communities. Our strength in financial and marketing capabilities propels us to greater heights. We are acclaimed as a property development company with a deep sense of mission to uphold the dignity of man in all its business endeavors. To our BUYERS, we commit to provide quality projects in an environment conducive to the development of the community, as well as excellent customer services that would combine both professional and personal concern for the buyers’ welfare. To our SHAREHOLDERS and INVESTORS, we commit to provide high yield financial growth by making prudent and sound decisions, maximizing opportunities, protecting investment interests and being transparent and fair with all business undertakings. To our BUSINESS PARTNERS, we commit to maintain a mutually beneficial relationship coupled with genuine concern, integrity and prudence. This we shall be able to sustain through a very high operational efficiency. To our AGENTS, we commit to develop them to be successful business entrepreneurs by constantly providing them with all possible opportunities for financial growth and professional development while strictly adhering to a sense of moral values. This will lead to the improvement of their quality of life and that of their families. To our valued EMPLOYEES, we commit to look after the welfare of every employee and provide opportunities for professional growth while according them dignity and a sense of family. To the COMMUNITY, we commit to the preservation and improvement of the environment through innovative planning, engineering and concern for the holistic development of the community. With the opening of the CAVITEX at the end of Coastal Road in Paranaque, travel time from SM Mall of Asia (MOA) or from the airport (NAIA) to Lancaster Estates takes only 15 to 20 minutes. Please send me a detailed computation with your latest promo and schedule a free site viewing for me or my representative. Thank you! For site viewings, please notify us a day in advance. We will provide your service vehicle to Lancaster for free! For inquiries, e-mail us at inquiry@lancasterestates.com. Lancaster Estates and Lancaster New City are trademarks of Property Company of Friends, Inc. Copyright © 2017 CFC Land. If you prefer exclusive properties near Portofino Alabang, please visit Bellefort Estates at mybellefort.com. reserves the right to alter plans, as may be deemed necessary, in the best interest of the developer and the client.